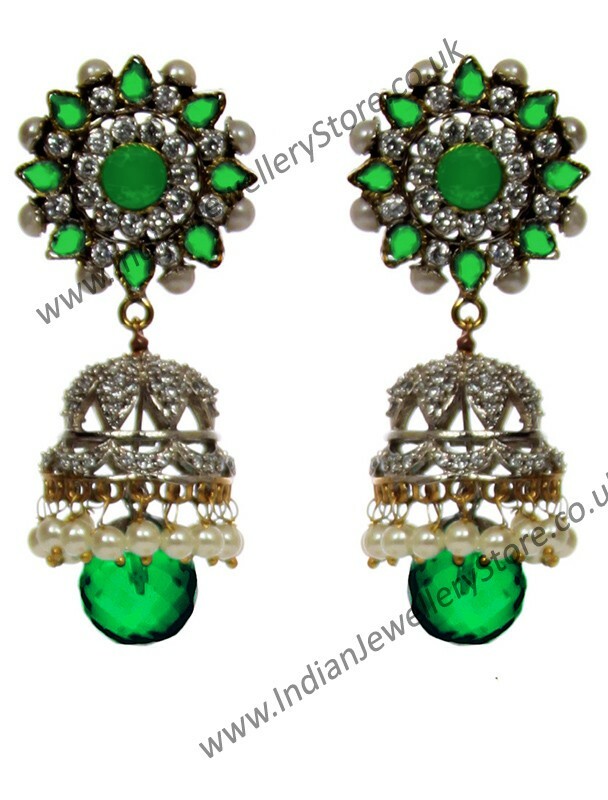 Seema jhumka earrings in antique silver and antique light gold mix & various colours (please select). Set with pearl & fine american diamonds stones. Length (approx. ): 6.0cm, Width (approx. max): 2.5cm. 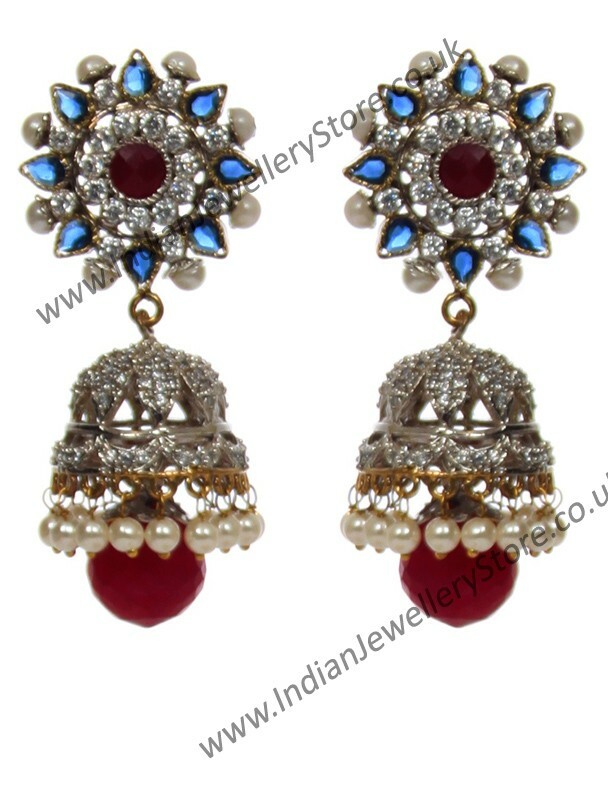 These jhumkies are truly stunning and featuring a fully diamond studded bell with hanging small pearls. So they will make an impact at any occasion! This is an exclusive item with limited 1-time stock.